»Top Romantic 2019 Valentine’s Day Spree, Pick Your Favourite Right Away! Top Romantic 2019 Valentine’s Day Spree, Pick Your Favourite Right Away! Celebrate the day of love in new ways as the ever sunny and joyful Namma Bengaluru gets all decked up for the season of love and romance. If you are looking for something unique and new to charm your soulmate with this Valentine's Day, then we have handpicked a few activities for you to try out to make this day special for you and your near one. Whisk your beloved away to some of the best romantic date night experiences you can pick from when in the city. 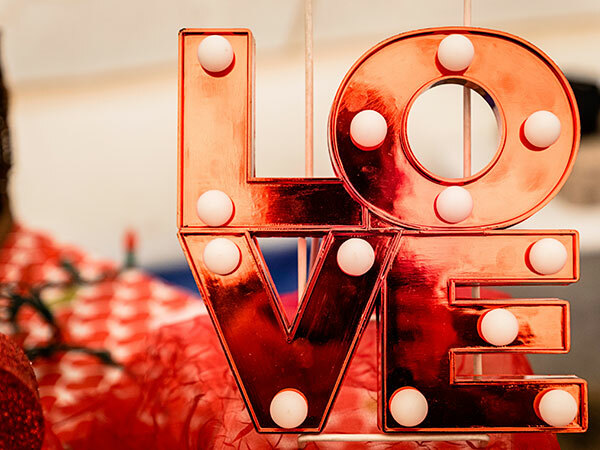 From spending this special day with your special someone at breathtaking locations or creating cherishable memories for a life-long whirl, here we explore some of the best things to do this Valentine's Day in Bangalore. Below enlisted are not just activities or events you can try out but unbridled experiences that will be etched in your memory forever. Bangalore is famous for its happening pubs and the country's some of the best micro-breweries. Go bar-hopping and explore a plethora of nightclubs hosting Valentines party in the city. Put on your party shoes, dress your best and dance the night away with your loved one. Singles can also be a part of the pub crawl and let in on to mingle for some new beginnings this Valentine's day! Suggestions: The Crawl Street, Black Rabbit, Toit Brewpub, Big Pitcher, Puma Social Club and many more. Let your beloved know how much you love them and make sure you venture off to a romantic getaway to the lush green surreal vineyards of the city. Experience the undulating vineyards at Nandi Hills consorted with memorable sunsets, nuanced wines, and affordable accommodation. Walk through the dreamy vineyards while sipping on your favourite wine and sampling some other. Experience the joy of grape stomping activities or take a languid drive through the whimsical vast landscapes, this Valentine's Day. Suggestions: Nandi Hills Vineyards, Grover Zampa Vineyards, SDU Vineyards, Alpine Vineyards and more. The city of Bangalore is home to some of the most lavish and affordable spas in the country. Get into a holiday state of mind in the middle of the week with your better half. Relax and laze away the day unwinding and untangling your chagrin, with lavish milk bath to aromatic massages or chocolate body scrubs to refreshing body wraps. Rejuvenate your mind, body and soul with your soulmate by the side and drift away in a leisurely spa therapy this Valentine's Day. Suggestions: The Palms Spa, Jiva Spa, O2 Spa, SPA.ce and many more. If you are a couple smitten by the wander bug and want to venture off to explore places this Valentine's Day, then Bangalore is just the place to be. The city is blessed with picturesque romantic locations in and around, and for couples who want to spend this special day cuddling up at the backdrop with romantic picturesque views, head to the most beautiful and romantic getaways from Bangalore that are perfect for celebrating Valentine's day amidst all the peace and quiet. Suggestions: Mysore, Nandi Hills, Coorg, Hogenakkal Falls, Chikmagalur, Hampi, Gokarna, Yercaud and much more.